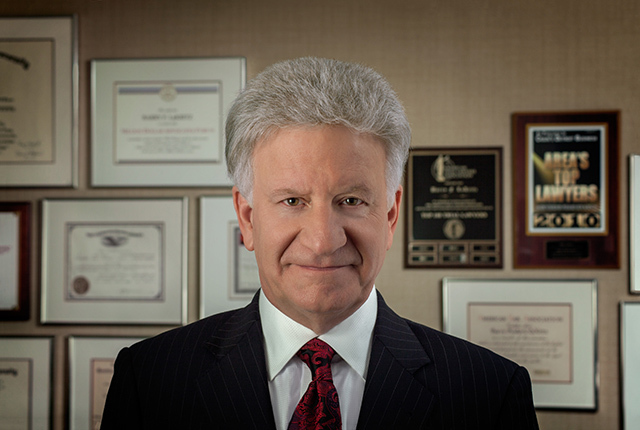 Barry F. LaKritz, Founder and Senior Partner, graduated from Wayne State University as a Phi Beta Kappa in 1969. Thereafter, he attended Wayne State University Law School where he graduated with Honors in 1972. Subsequently, he became a principal Partner in the Firm of Ulanoff, Ross, Summer & LaKritz, P.C., a full service Trial and Appellate Law Firm. He chose to leave that Firm in 1982, in order to establish his own Firm, specializing in the representation of individuals involved in a variety of injury situations giving rise to insurance claims and lawsuits. Mr. LaKritz has enjoyed great success in resolving and litigating substantial injury claims in several counties in Michigan. He is actively involved in several roles including those of Trial Attorney, Mediator, Arbitrator and Facilitator in several counties in Michigan. Previously, he was appointed by the Presiding Judge of the Oakland County Circuit Court as a Special Master (Judge Pro Tem) in connection with the litigation of complicated civil multi-party litigation. Mr. LaKritz has extensive experience in regard to litigation involving liquor liability, especially as it relates to automobile and truck crash litigation. 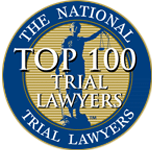 However, his background is extremely diverse, as he has litigated and resolved cases covering the full panorama of personal injury litigation. Mr. LaKritz has served as Trial counsel in a multitude of cases over several years of practice, achieving Trial verdicts or settlements in multiple cases in excess of $1,000,000.00. Mr. LaKritz has, for many years, been a member of both the American Association for Justice and the Michigan Association for Justice and has been a featured speaker at various seminars devoted to his areas of interest. 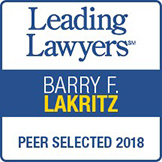 Mr. LaKritz is licensed to practice law in the State of Michigan and the State of Arizona and has affiliations with personal injury Law Firms in many states, including the State of Florida. 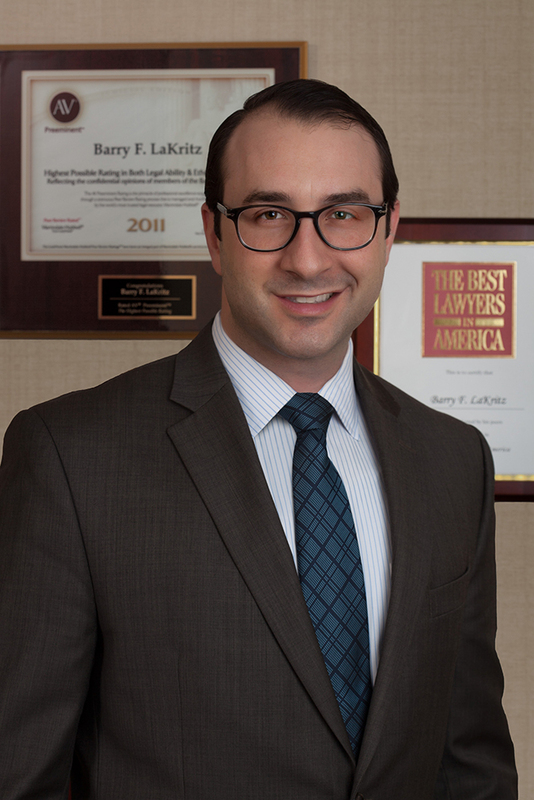 Mr. LaKritz is a member of the Detroit, Oakland and Macomb County Bar Associations in addition to the Federal Bar Association. Also, he is among a small number of attorneys who have been admitted to practice before the United States Supreme Court. Dana LaKritz Marcus graduated from the University of Michigan in 1996 as a Phi Beta Kappa with a Bachelor’s Degree in Sports Management and Communications. While at U-M, she was a member of the Women’s Varsity Softball Team and repeatedly achieved Academic All-Big Ten Honors. Thereafter, she attended Wayne State University Law School, where she graduated with Honors and was awarded the prestigious Order of the Coif, upon her graduation in 1998. While a law student, Ms. LaKritz Marcus was both an Oralist and a Brief Writer on the Moot Court Team. 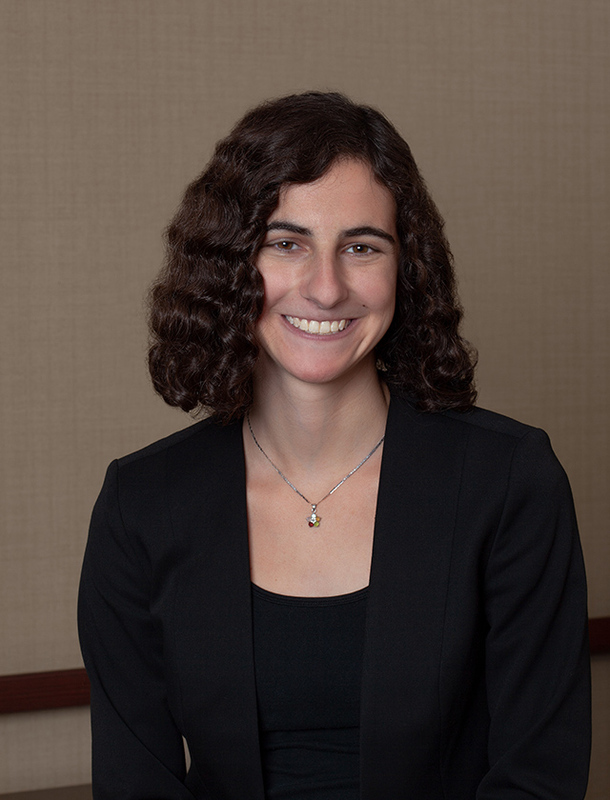 Upon graduation from Law School, Ms. LaKritz Marcus practiced in the field of business litigation at Butzel Long for three years, representing a diverse population of small proprietors as well as members of large corporations. 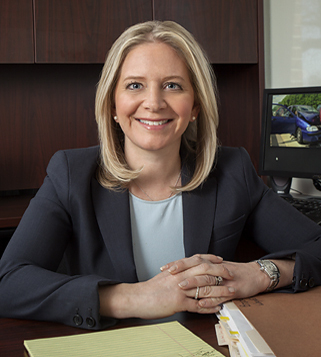 In 2003, Ms. LaKritz Marcus joined the Firm of LaKritz Law, where she has concentrated her practice in the areas of premises law liability, dog bite litigation, liquor liability litigation as well as First and Third Party automobile No Fault litigation. Ms. LaKritz Marcus has extensive experience in Appellate practice and Federal civil litigation. She has been instrumental in allowing the Firm to achieve success in some of its largest settlements and Trial Verdicts. Ms. LaKritz Marcus is licensed to practice law in the State of Arizona and the State of Michigan. Ms. LaKritz Marcus is a member of the Michigan Association for Justice, the American Association for Justice, The Oakland County Bar Association and The Federal Bar Association. Also, she has been a member of Inns of Court (of the Oakland County Bar Association), a body of attorneys and Judges who regularly meet to discuss topical legal issues, and ways in which to improve legal services for clients. The Firm generally schedules appointments between 9 a.m. and 5 p.m. (Eastern Time) Monday through Friday. Please e-mail Dana LaKritz Marcus at dlakritz@lakritzlaw.com or call her at 248.723.4747. Andrew M. Saperstein graduated from Michigan State University as a member of James Madison College in 2001, where he obtained a Bachelor’s Degree in Social Sciences, majoring in International Relations. Following the completion of his undergraduate education, Mr. Saperstein attended the Michigan State University College of Law, where he graduated with a Juris Doctor degree in 2005. While in law school, Mr. Saperstein served as a member of the Moot Court team in 2004, winning the Moot Court All-Class Competition, and placing third overall in the American Bar Association National Appellate Advocacy Competition. Mr. Saperstein also served as a Moot Court Board Member from 2004-2005. In addition to serving on Moot Court while attending the Michigan State University College of law, Mr. Saperstein served as a Teacher’s Assistant to Professor Charles Ten Brink and as a Research Assistant to the Law College from 2003-2004. He is an accomplished researcher, and has advanced certification in both Westlaw and Lexis research systems, the nation’s leading legal on-line search engines. Since being admitted to practice, Mr. Saperstein has distinguished himself inside the Courtroom and outside the Courtroom as an aggressive, plaintiff advocate who produces significant results. 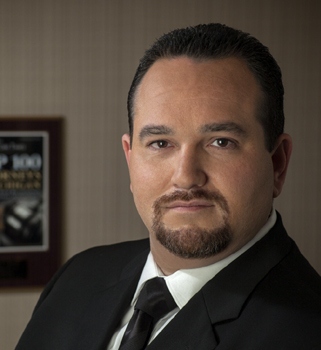 He has handled a variety of personal injury cases, with a specialization in First Party Auto No-Fault cases. 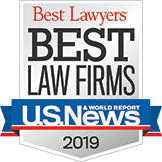 He has regularly been lead counsel in 6 figure and 7 figure litigation results, and has received peer recognition for 2 consecutive years as a “rising star” among top Michigan lawyers, as published in Hour Detroit. Mr. Saperstein is a spirited civil advocate, one who cares deeply about the rights of our clients and the obligations of insurance companies who must fulfill their obligations to our clients. In short, Mr. Saperstein is not the attorney that insurance lawyers want to find themselves in battle with as they look across the counsel table. Mr. Saperstein is a member of the Michigan Association for Justice, B’Nai B’rith International – Great Lakes Region, and he is an alumni and past President of the Zeta Beta Tau Fraternity, Beta Epsilon Chapter, at Michigan State University. Mr. Saperstein is an enthusiastic advocate for victims’ rights. The Firm generally schedules appointments between 9 a.m. and 5 p.m. (Eastern Time) Monday through Friday. Please e-mail Andrew M. Saperstein at asaperstein@lakritzlaw.com or call him at 248.723.4747.